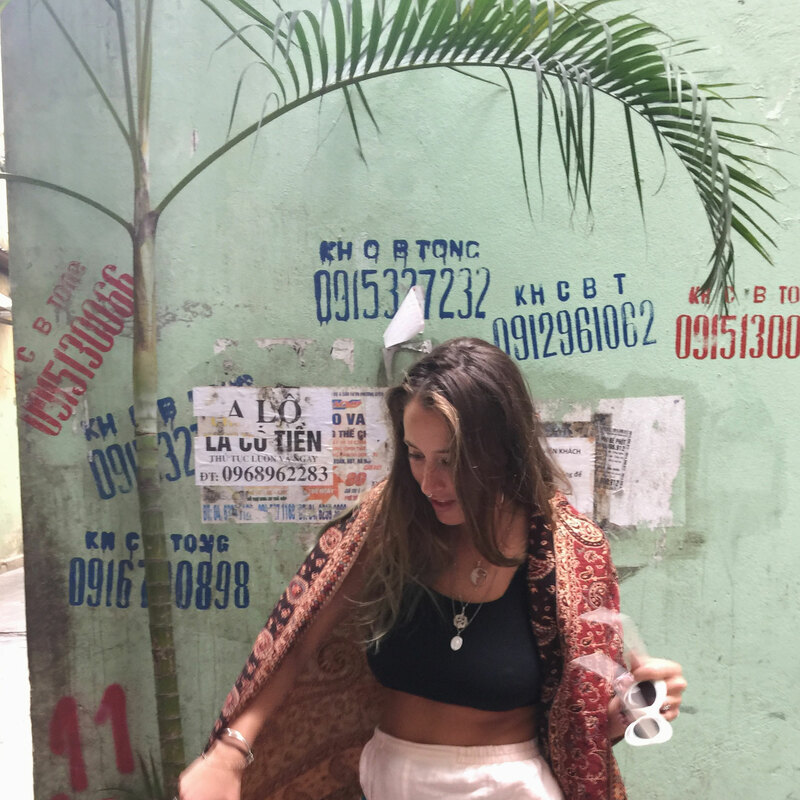 After a 2 leg journey from Sydney via Kuala Lumpur we finally touched down in Vietnam. Once we left the airport we headed to the shuttle bus station which was to the left of the exit on the second tier of roads just in front of the taxi rink. It cost us $3 and the journey took about half an hour to the center of Hanoi. 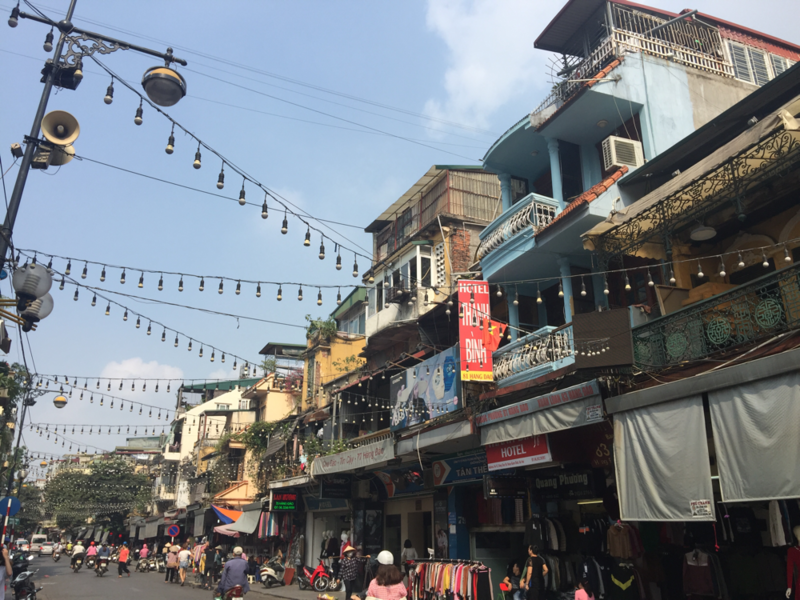 The driver showed us on a map where we were going and the main bus stop where they dropped us in the Old Quarter of Hanoi was about a 5 minute walk from our hostel. It helps to have a map on your own and to get a bit of an idea where you are going before you arrive especially after a long flight. I recommend maps.me for moments like these!! 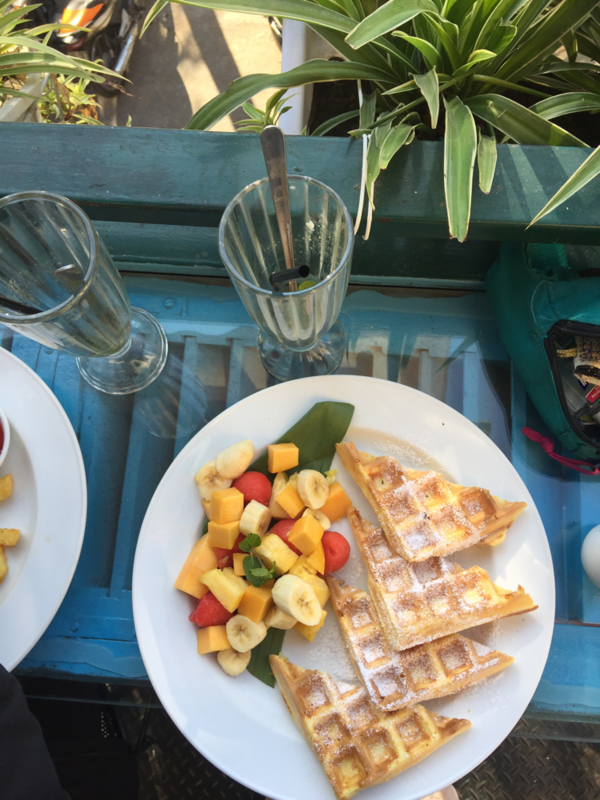 We were staying at the Hostel Light Hanoi which was $5 a night for a bed in a dorm including breakfast and was more than satisfactory, especially for the price. We were in the top story in a 10 person dorm with a bathroom and a balcony and our room was full of heaps of lovely people. 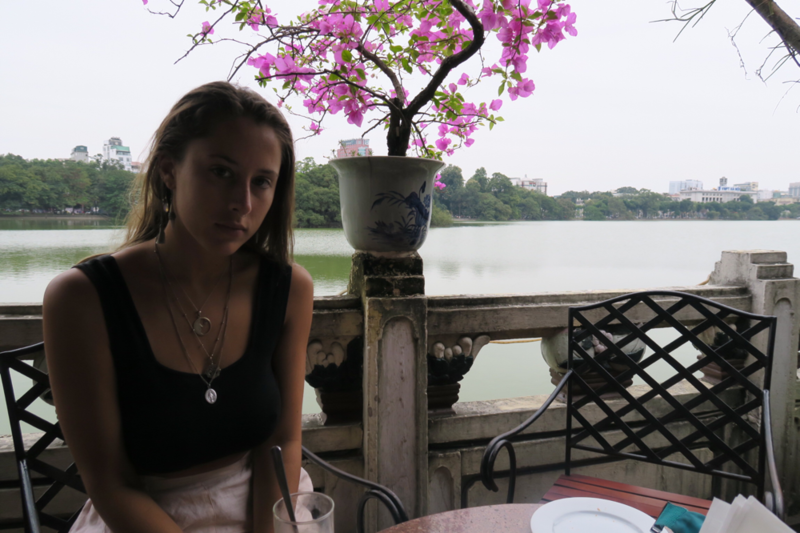 Hanoi is a pretty funky place, almost exactly what you'd imagine old town Asia to be. Huge over-grown trees line the streets with vines spilling out onto the footpath and weaving across every walled surface. 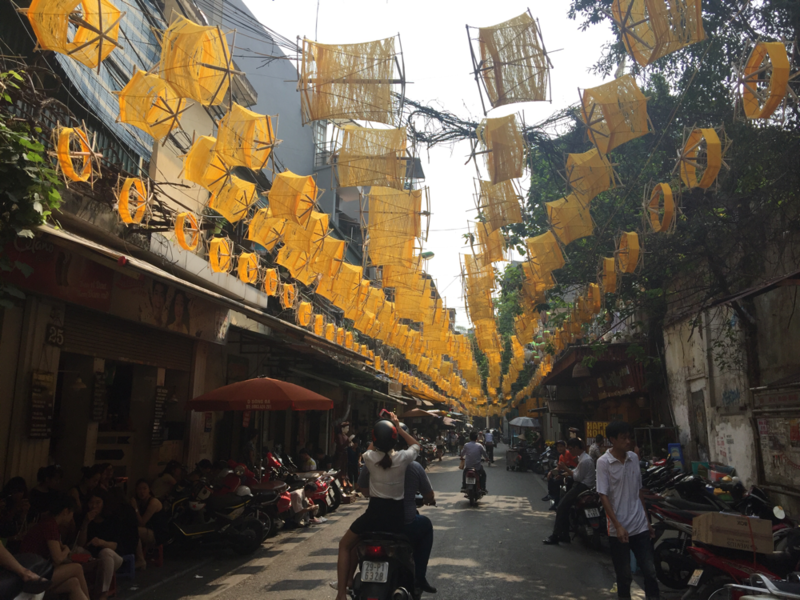 There are coloured lanterns and people on bikes with straw hats and huge bunches of flowers in baskets and don't get me started on the traffic. They key to crossing the road here is confidence. You will never ever get a break in the traffic flow so you just have to walk out into it (it does take a bit of practice). 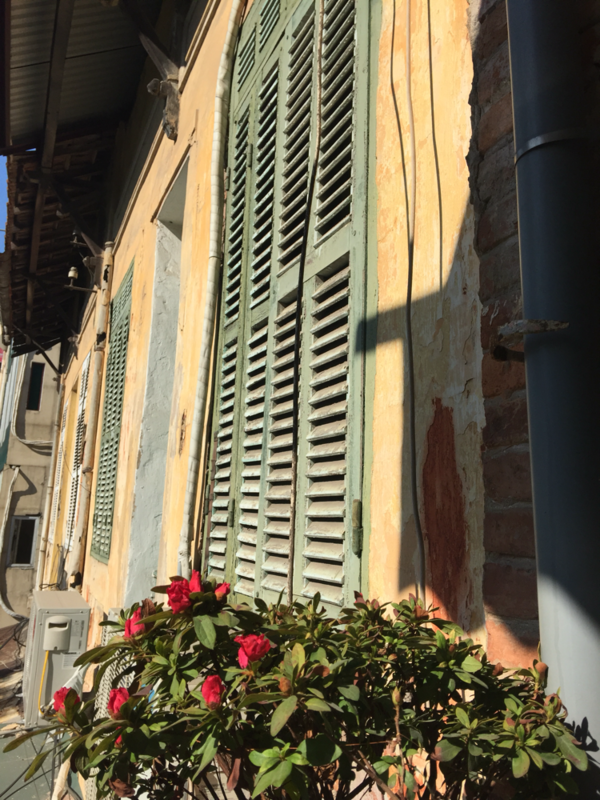 We spent our first afternoon exploring the Old Quarter and adjusting to the hot sticky weather. 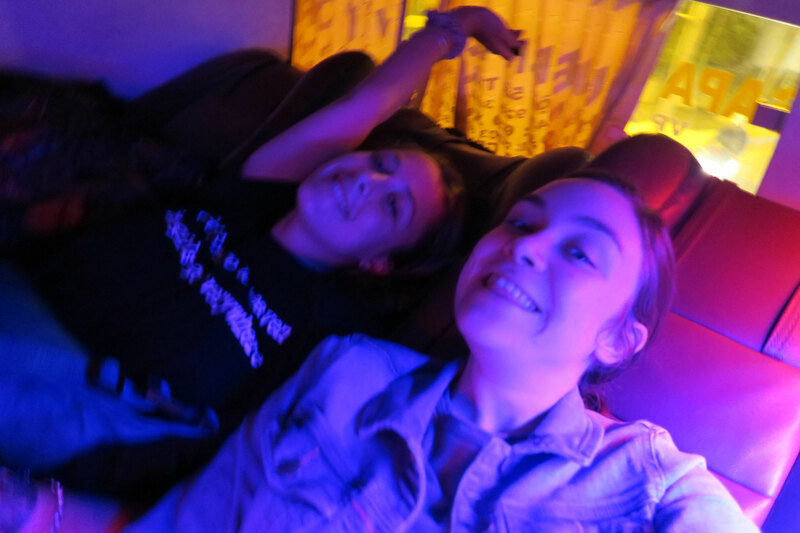 We also booked our return Sapa bus for $10 each one way, which was going to pick us up from our hostel the next night. 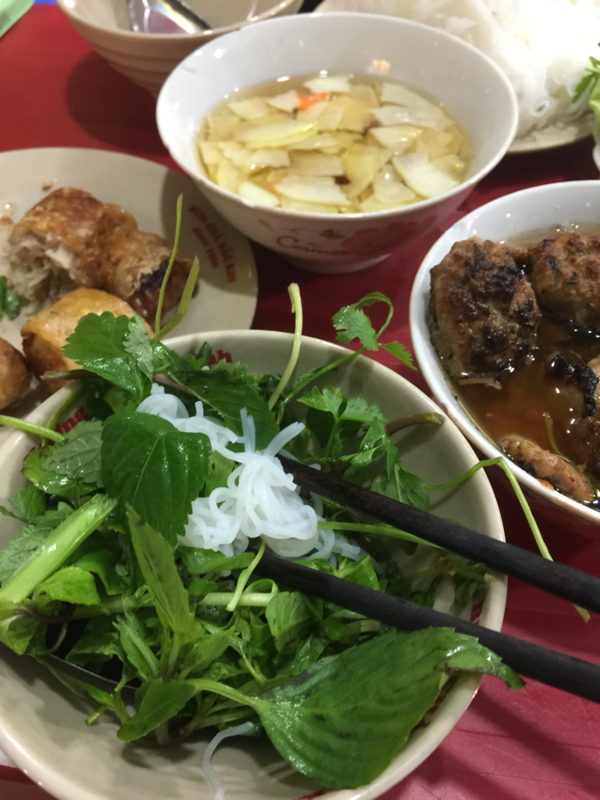 We walked around the Hoan Kiem Lake and looked at a few temples before getting dinner at Bun Cha So 1 Hang Manh where we had the most delicious selection of pork, crab and fried rice paper rolls in fish sauce. 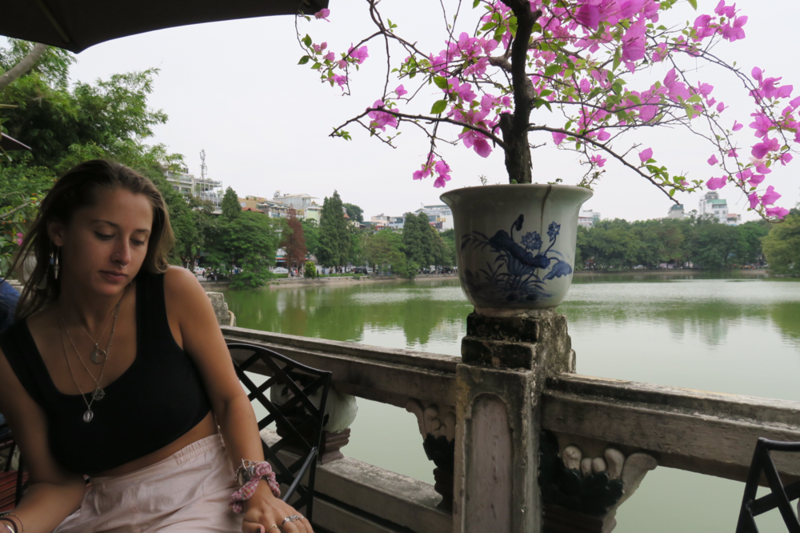 We then went to a traditional Thang Long Water Vietnamese puppet show in one of the theaters by the lake for $6 each which was pretty bazaar but a nice 'cultural' way to start out time in Vietnam. 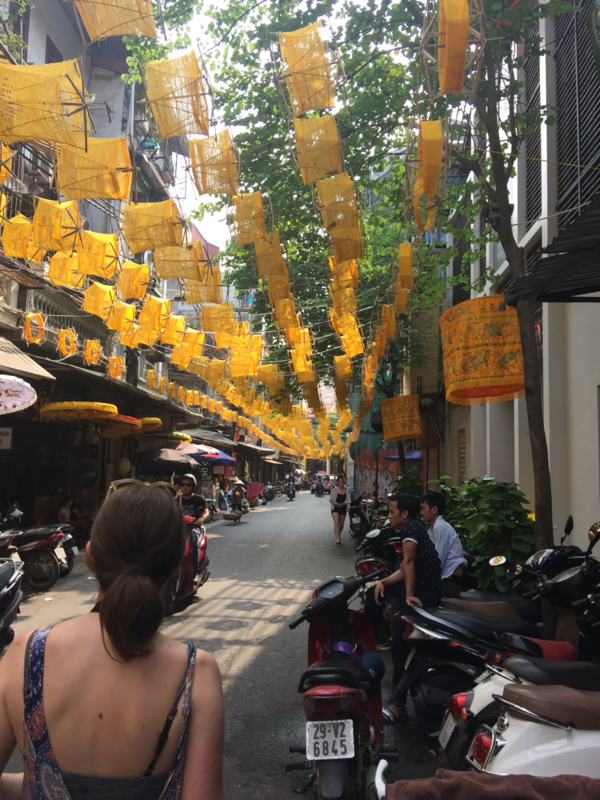 The Women's Museum, focuses on the history of women in Vietnam and is full of ridiculously beautiful artifacts and traditional dress. Entry is about $2. The Trill rooftop cafe - this place isn't in the old town and is actually in the modern CBD, we didn't actually make it here as it was a bit out of the way for us but it looks super beautiful and in summer they have a rooftop pool. 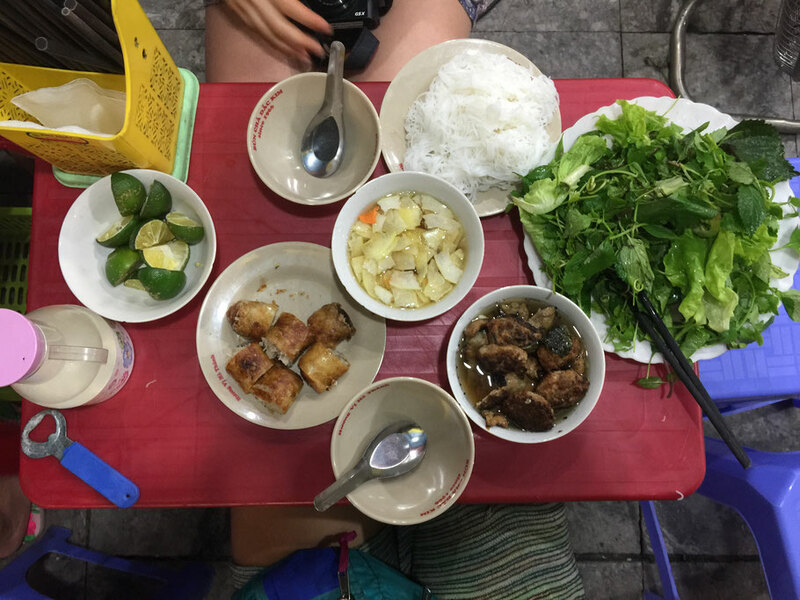 I'm not usually one to seek out different dishes whilst i'm overseas, preferring to stumble across something great or to just stick to the obvious, but Jod the food connoisseur had a huge list of dishes that we had to try whilst in Vietnam and although I was hesitant to try some of them at first I can now guarantee every single one was amazing. Tiem Com Mot Ngay Moi - We ate here several times for lunch they did amazing fresh rice paper rolls and chicken dishes and always had a cue for a table! Vietnamese coffee is also super delicious as they serve it iced with condensed milk so its super sweet and quite refreshing in the muggy heat! 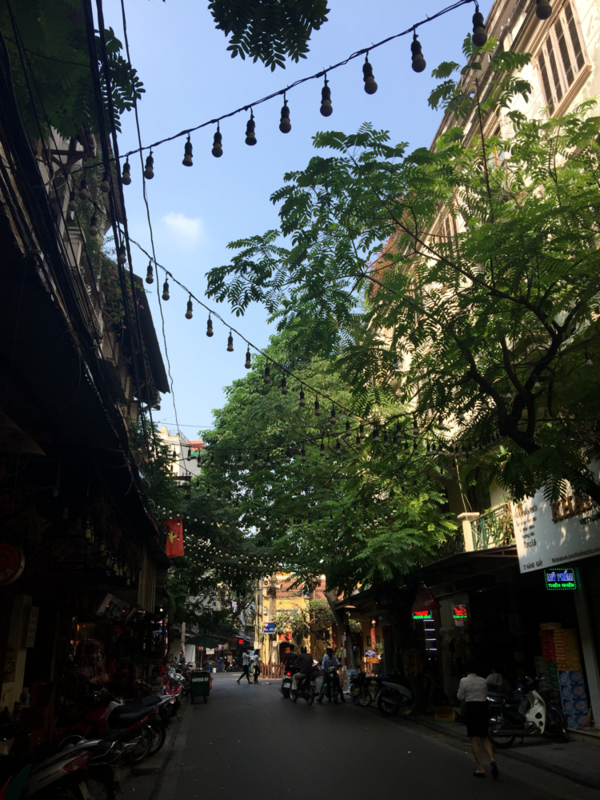 We used Hanoi as a base for all our travels around northern Vietnam which meant we were able to travel with only our day packs to the places we were only visiting for a day or so which made moving around a whole lot easier. As overnight buses were our main mode of transport we saved heaps of time on travel and were able to cover some pretty large distances without it taking any toll on our time or body. The buses are cheap, efficient and generally quite comfortable. No-where else in the world have I been that makes overnight travel so convenient. There are plenty of travel agencies and companies that will be happy to help you organise transport and tours around the country. Just make sure you bargain as hard as possible as the prices they offer are usually double what it actually costs and you may as well get it for as cheap as you can. We booked our bus to Sapa, Ban Gioc and our Halong bay cruise here. Maps.me is absolutely essential for moving around in Asia (or anywhere) as it uses free GPS to track your movements and has pre-saved maps that can be loaded without any internet connection as long as you download them whilst in WiFi beforehand. 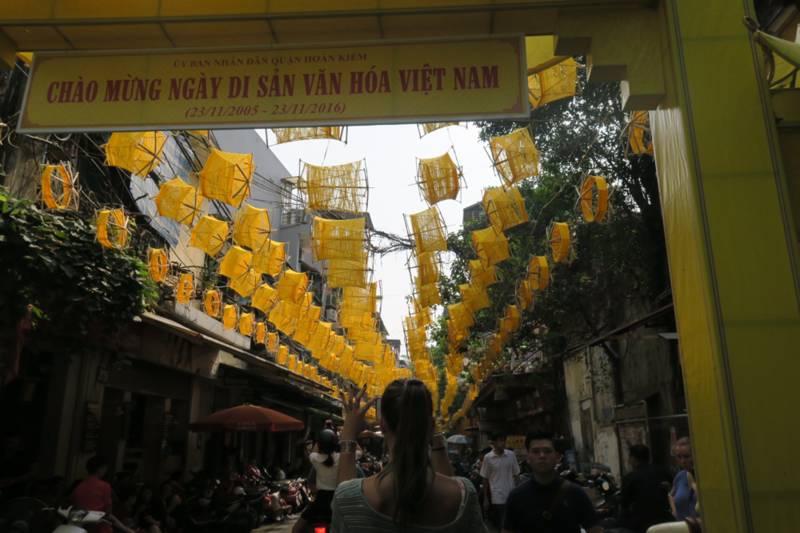 We were able to track our where-abouts the entire time in Vietnam even on small dirt roads. 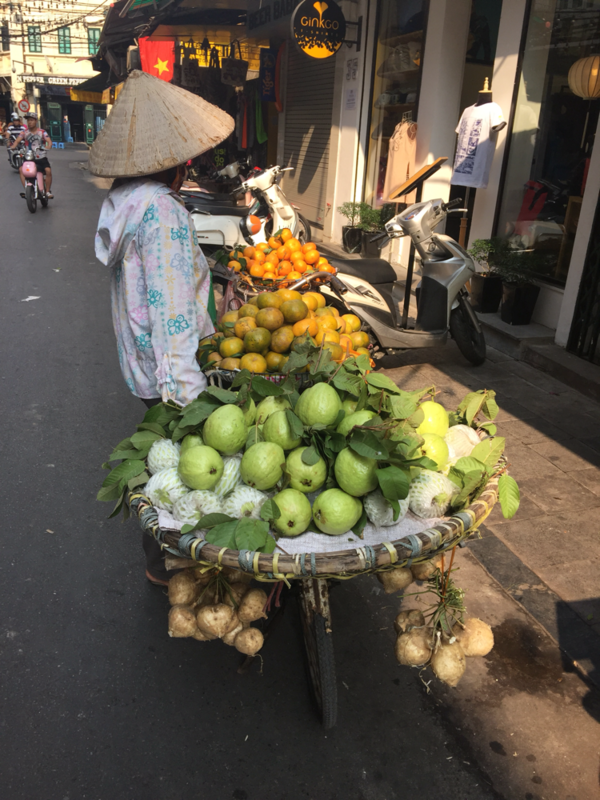 The weather in Vietnam is quite unpredictable and during our stay we had ridiculous variety. 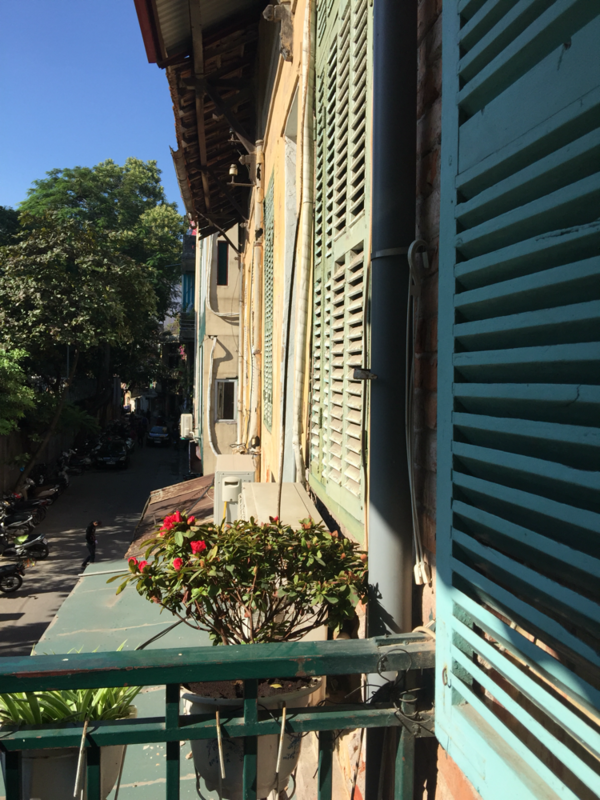 In Hanoi it was hot and sticky (then cold and grey), Sapa was below 10 degrees and foggy, Ban Gioc was hot and dry, Hoi An had torrential rain (for 4 whole days) and Saigon was pretty normal. 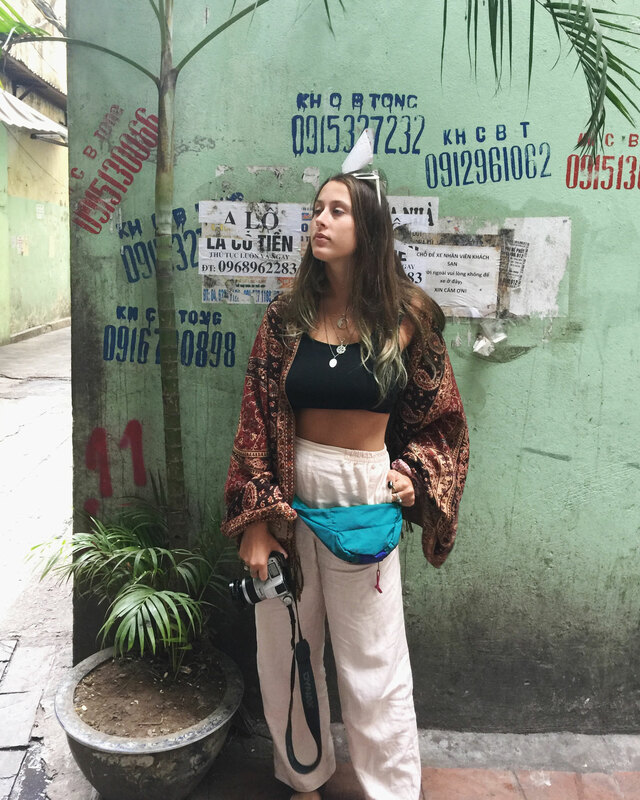 We were there in late November which is almost winter so although South East Asia is a generally hot place we found, especially in the north, that the weather was pretty chilly and grey. 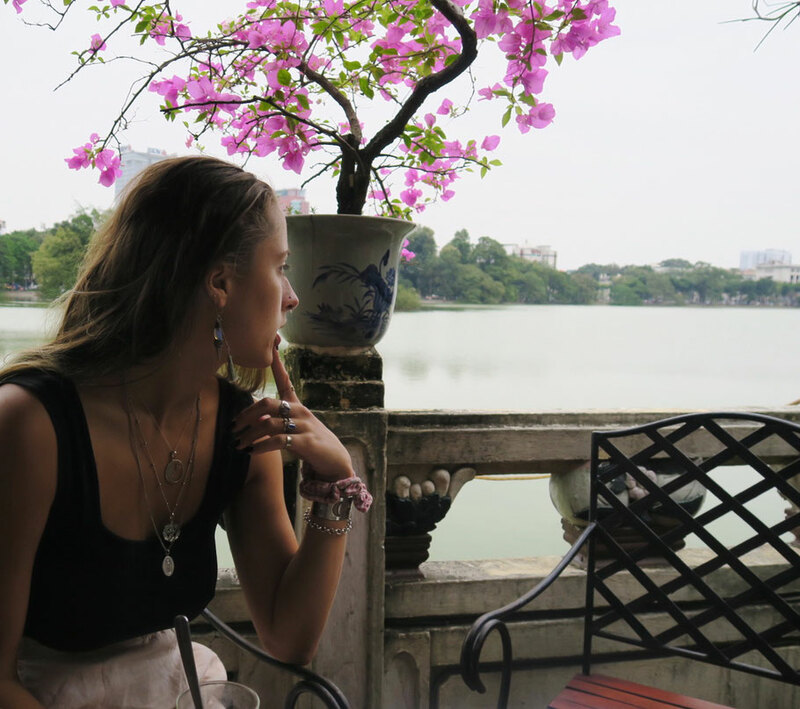 When you're in a place like Vietnam where natural beauty is the main attraction bad weather can ruin some of your experiences. Luckily for us we only really felt disappointed by the clouds in Sapa (we couldn't see the mountains) and the grey/overcast weather in Halong Bay (without the sun the usually aqua green water was quite dark and murky). Obviously no-one can control the weather but try and take it into consideration when planning your trip to make sure you get the best out of each place!! We started in Hanoi and from here did an overnight trip to Sapa (with 2 overnight buses on either side) and a 1 day trip to Ban Gioc Falls (with 2 overnight buses on either side). 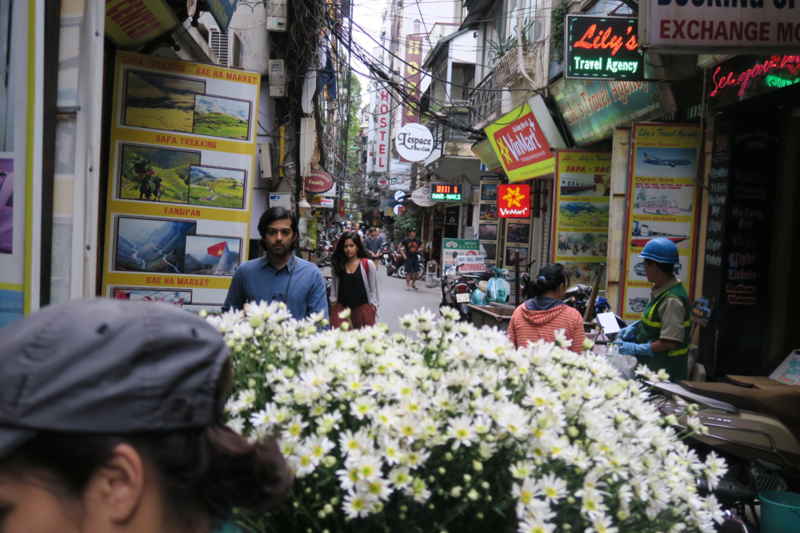 From Hanoi we then traveled down to Halong Bay where we did a one night cruise and then stayed on Cat Ba island for 1 night before getting a flight from Haiphong to Da Nang (the airport closest to Hoi An). 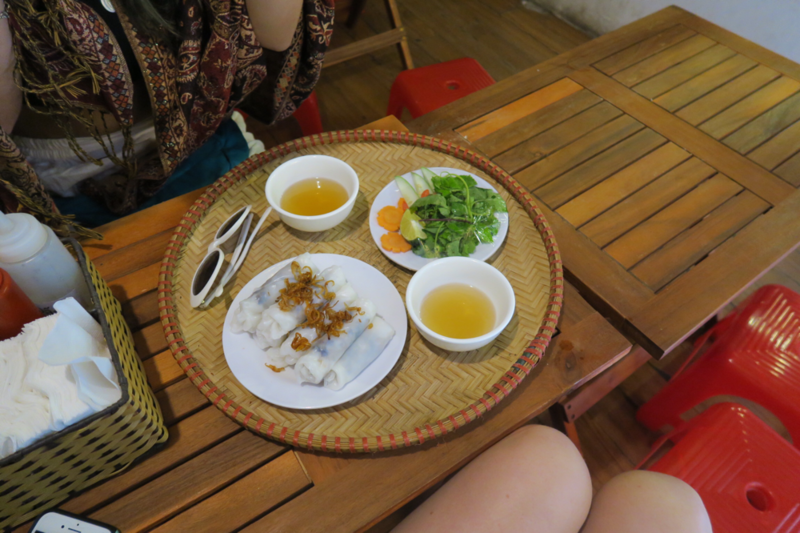 We spent several days in Hoi An (my favorite place in Vietnam) and then flew from Da Nang to Ho Chi Minh. 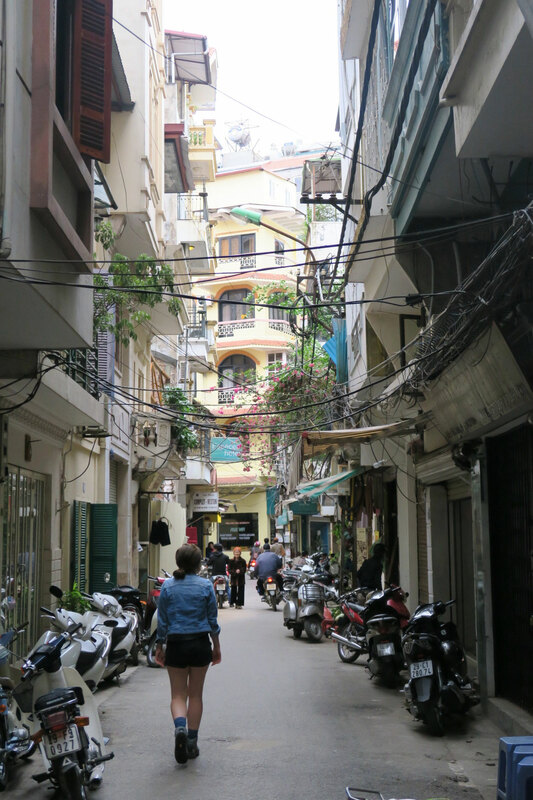 Buying a motorbike and riding from north to south is a very popular thing to do in Vietnam. As Jod had never ridden a bike before (don't worry shes a pro now) this wasn't a possible option for us but we met so many people who were doing it and said it was amazing. Because its so popular bikes sell for about $150 - $200 which is pretty cheap considering (other than petrol) this is your transport for the entire trip. 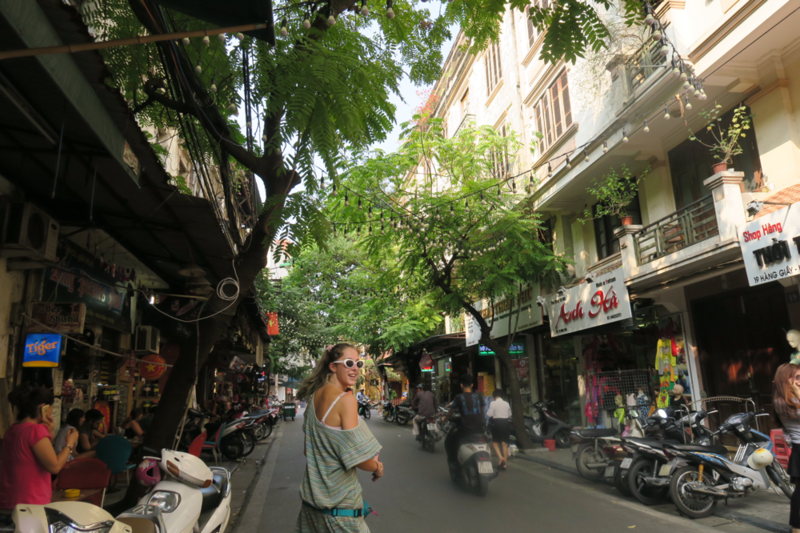 Hanoi and Saigon are buying and selling hubs so at the end of your trip you just leave a couple of days before you fly out and re-sell it to another backpacker and with any luck you'll make all your money back. One guy we met in Hoi An had been given a bike for free from someone he met who didn't have time to sell it so you never know you could get super lucky! For this type of trip i'd allow 1 month to 6 weeks to ensure you have enough time to thoroughly cover the country. Some of the best natural scenery is only accessible by bike or car so it really is the perfect way to see Vietnam.